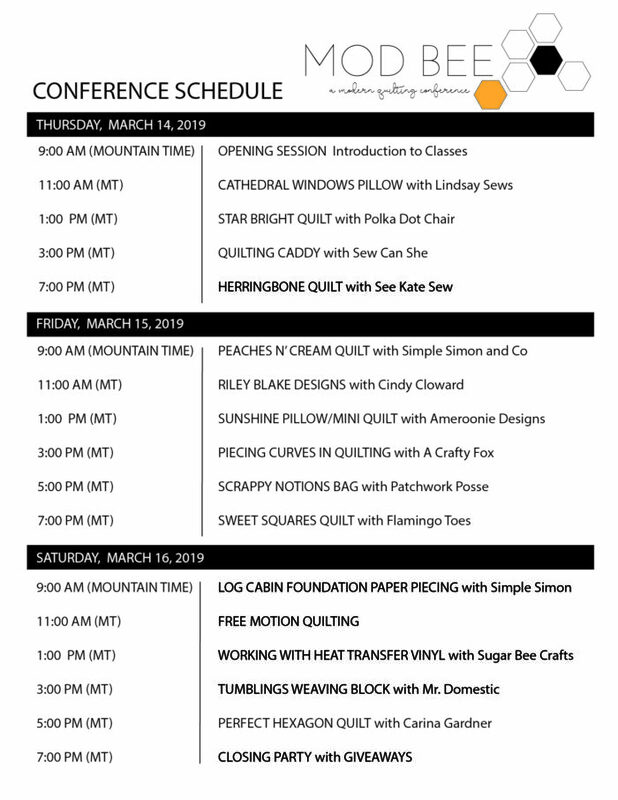 You are here: Home / Quilts / Join me at the Mod Bee Online Quilting Conference! 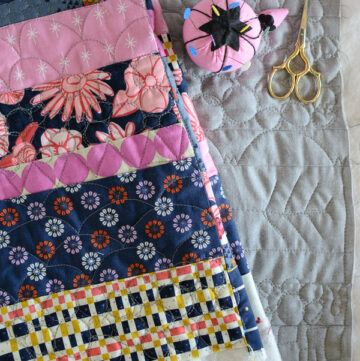 Stitch the weekend away with me this March at a special online Quilting Conference! Hi guys! I have something kinda fun to share with you today. 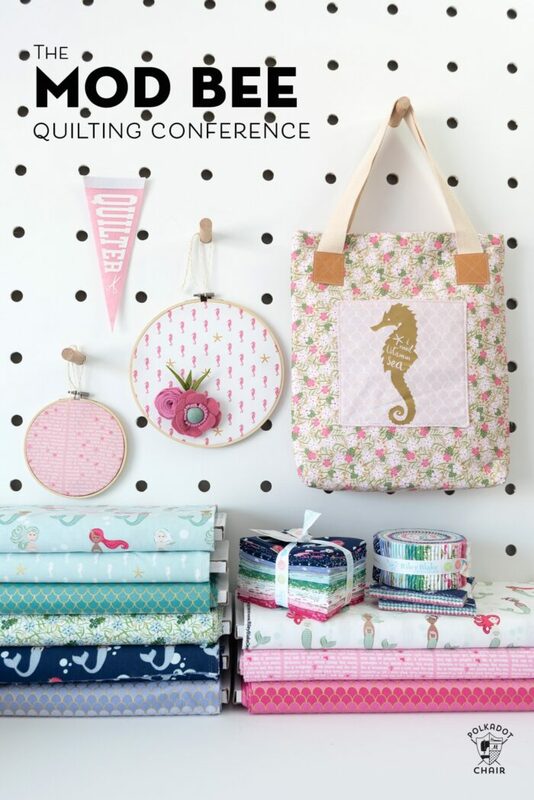 I don’t know about you but I’ve always wanted to attend a quilt retreat or conference. The idea of spending hours stitching with a bunch of like-minded people always sounded so fun to me! However, my schedule right now doesn’t allow me too much time to travel to a lot of conferences/retreats (kids… gotta love em *wink*). 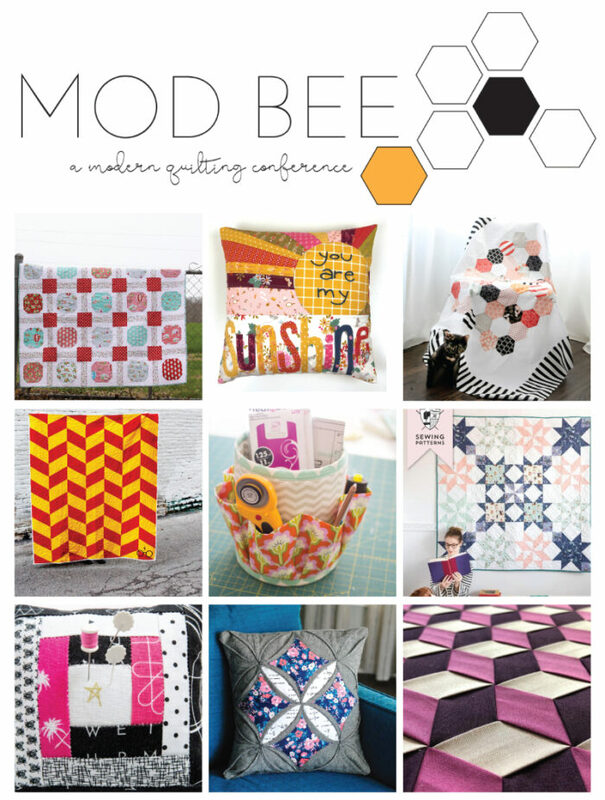 I’m excited to announce today that two of my best “blogging” buddies have put together an online quilting conference, called the ModBee. 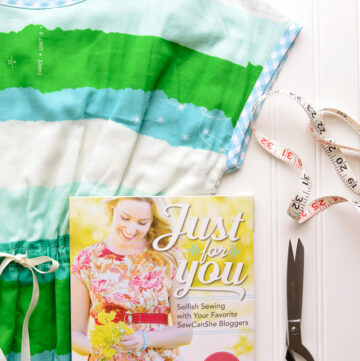 You can attend in your jammies and stitch at your own pace. The conference will be live streamed to you during each class, and you’ll be able to go back and view the classes later (for up to a year) in case you miss one. 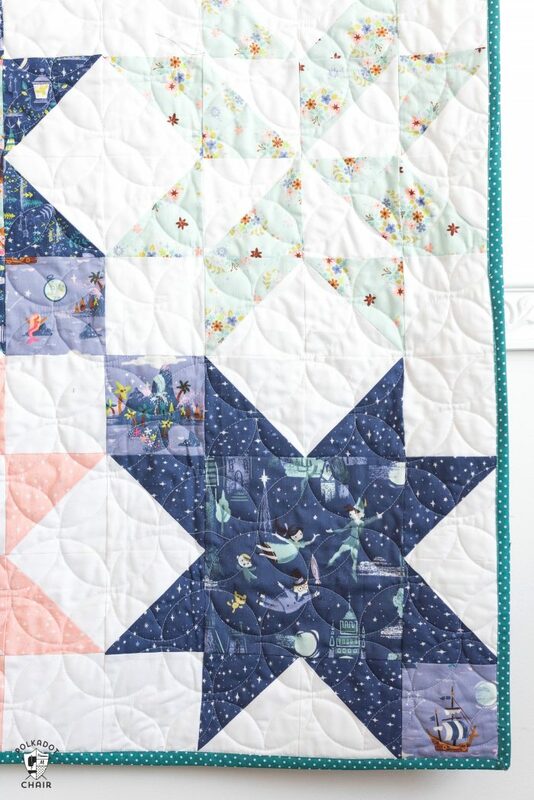 I’m going to be teaching my Star Bright Quilt Pattern. 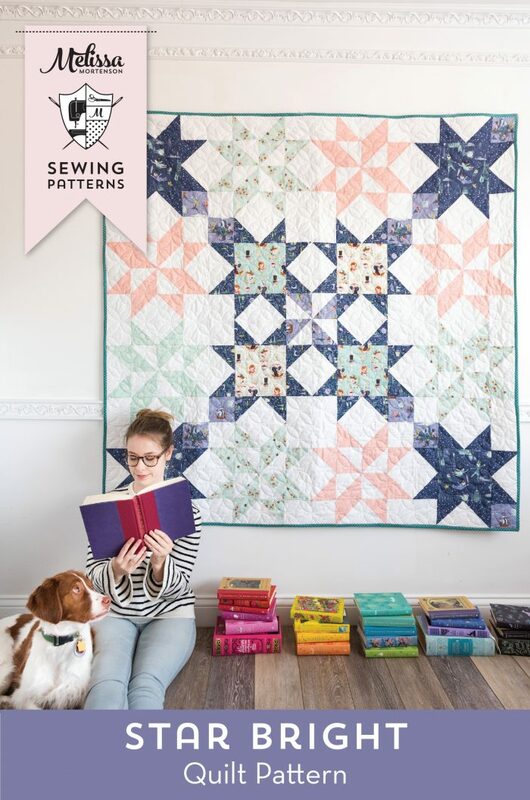 It’s a great pattern for people with a little bit of quilting experience want to move into something more detailed than just simple patchwork squares. 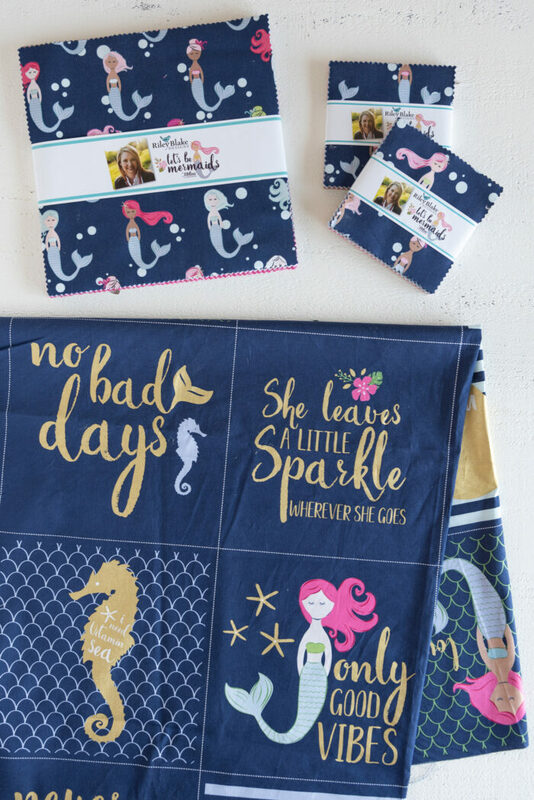 This quilt is designed to go with my Let’s Be Mermaids line of fabric. 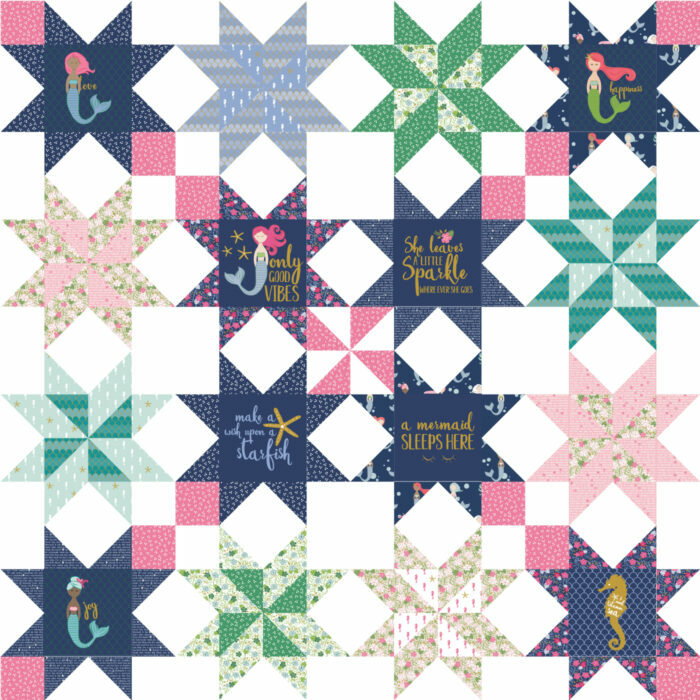 The squares in the center of the star blocks are the same size as the squares in the panel print of the fabric line. 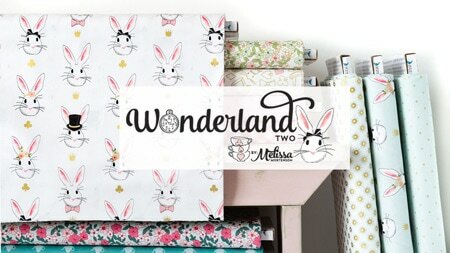 If you want to use the Mermaids fabric you can find it at many local shops and online (I know that Fat Quarter Shop has the line now, including the panels). I’ve got more info about how to sign up for the conference below, including a list of the other teachers, and a special coupon code for you to use! 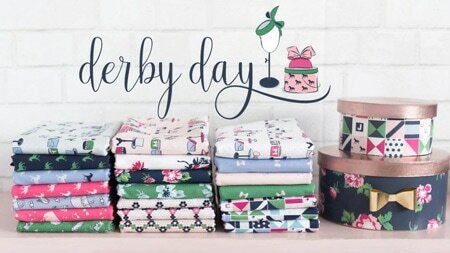 Mod Bee is 3 day, an online conference full of interactive quilting classes taught by some of the internet’s favorite quilters. 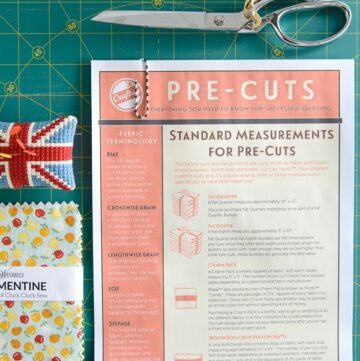 *12 PDF Patterns sent to you via email prior to the conference beginning so that you can be prepared to sew along with the classes of your choice. *Automatic entry to win daily prizes during the conference. *Ticket price for this 3-day event is $75 BUT if you use the CODE: POLKADOTCHAIR you can get $20 off! Amanda from A Crafty Fox. Mathew Boudreaux from Mister Domestic. Kate from See Kate Sew. 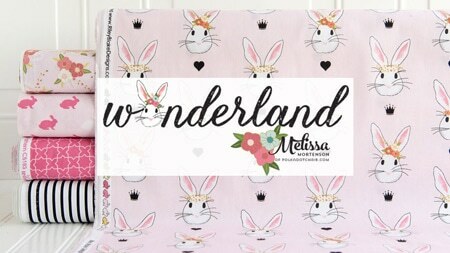 Cindy Cloward from Riley Blake Designs. Elizabeth from Simple Simon and Company. Melissa from The Polka Dot Chair. liZ from Simple Simon and Company. 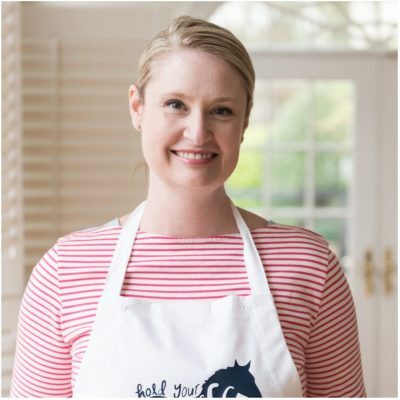 Caroline from Sew Can She. Mandy from Sugar Bee Crafts. Sounds like lots of fun. However, we do not participate in Facebook. Do use Instagram and You Tube. What classes will be offered? Will you post a list and or pictures of the projects being taught? Each teacher has shared their project on their blog, you can see the list at the bottom of the post. I’ll see if they will let me link up their photos as well. Are there alternatives to Facebook classes? Sounds like fun, but then saw Facebook., so not for me. Too bad because it’s a nice lineup of teachers. 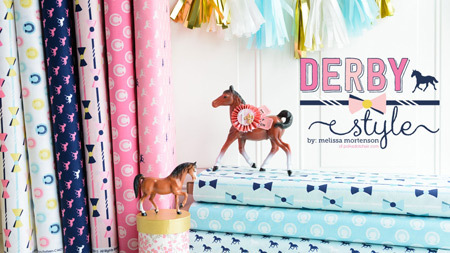 I need that Peter Pan fabric in my life. Where can I find that? Sadly, I have to agree with the “I don’t use Facebook” people. Sounds like a fun concept, but if that’s the only platform I will skip it as well. I will have to go with the others, I don’t do FB either. Maybe you can come up with another venue? I didn’t organize the event I’m just teaching. But I do know why they chose Facebook. Facebook lets you create a “group” that you can live stream video to. You can do it in a way that only the members in the group see the video. AND facebook will save the video in the group so if you miss a class you can go back and watch it later. You can also chat with other members of the group and ask the teachers questions directly. Which I think is a HUGE benefit. To get another method to do this online would be so crazy expensive that it would never work and no one could sign up. Large companies do this, but have the backing of a large corporation with lots of employees and resources to pull it off. 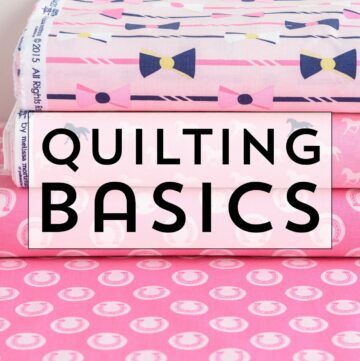 We are a group of Makers wanting to share with the quilting community and don’t have those same resources, so we are making the best of what we have available. I have mixed feelings about Facebook as well, but for this event, it really is the best way to put on the event. I do not do PayPal can I use another card?